Twitter follower Matthew Brando reports finding the Hasbro AT-ACT now at $89.98 at his Target. Continue to use 087-06-5475 to find the best price in your area. 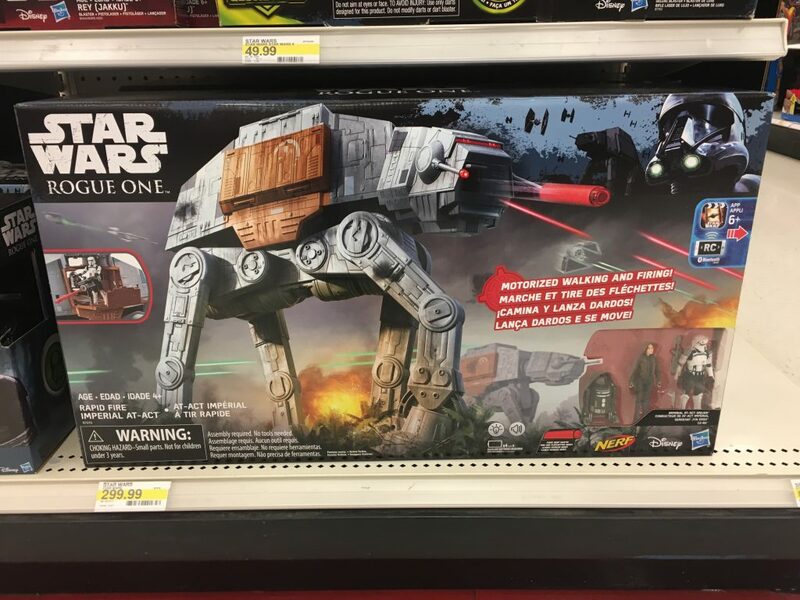 Those who held off on pulling the trigger on the Rogue One AT-ACT, may want to start hitting Target stores as reader Mike M. found them marked down to $149.98 at his store. 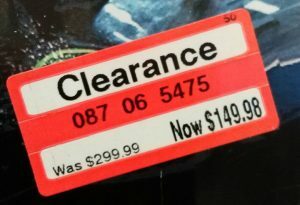 YMMV, but I’ve also heard that stores will be putting these on clearance December 26. After hours of aggravation, I was able to get the damn Nerf mechanism on Hasbro’s new AT-ACT finally working. I don’t even know exactly what I did to fix it, but I guess jiggling it around as much as I did after removing the head screws aligned something that was out of whack. Anyways, more details after the jump! Today, my son and I eagerly opened the giant package on our front door… I just couldn’t make us wait for Christmas. We had just seen Rogue One togeher over the weekend and this was just icing on the cake (though rather expensive icing). 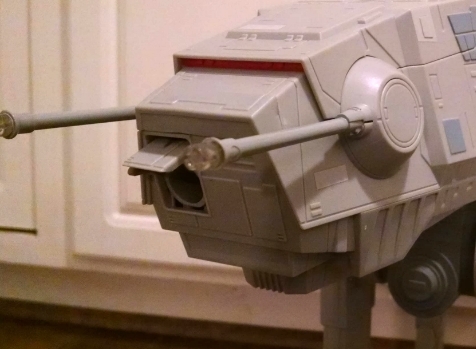 While my son frantically set up a group of Rogue One rebel figures, I assembled Hasbro’s latest “big thing.” I plopped in the batteries, and turned it on. Watching it walk across the kitchen floor was cooler than I expected. My son’s eyes gazed in wonder… my daughter clapped her hands… “Make it shoot!” she screamed with joy! So I pressed the “fire” button… the hatch opened… and a sound was made… but that was all. So I opened the hatch, expecting a simple NERF dart jam. But alas, this AT-ACT is dysfunctional. It will not shoot, and the hatch will not close. 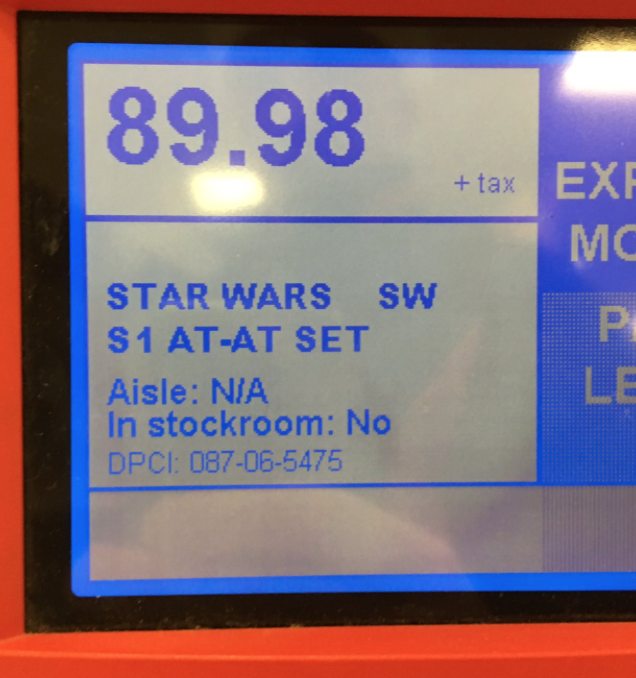 For those that are against Hasbro adding NERF features to the Star Wars line, this risk is another reason to be against this sort of feature. Who knows how many of these vehicles will begin to have this problem over time… or even when kids get it for Christmas and can’t even enjoy it for a full minute and end up crying like mine did this evening. Hopefully this is an isolated incident, but I would be surprised if the one family that has this issue happens with is my family. Please share your thoughts or experiences with this new toy in our forums. 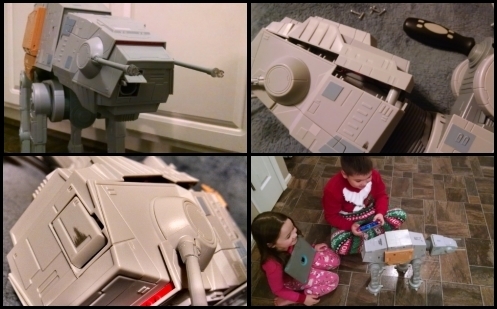 @Lotis_Mindset An AT-ACT is much taller than an AT-AT. For those troubled by the perceived underscaled size of Hasbro’s AT-ACT, I present Pablo Hidalgo’s official tweet on the subject of scale. Friend Chris Pirillo has posted his first look demo of the new Rogue One Rapid Fire AT-ACT from Hasbro (courtesy of Disney). This item is not yet available in stores, but look for it later this fall. Head on over to his YouTube channel or watch above to check it out. 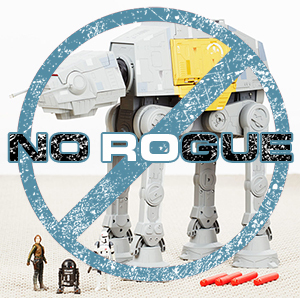 Hasbro has confirmed via JediDefender, that the Nerf-firing Imperial AT-ACT WILL NOT be available at retail for the Rogue Friday/Force Friday launch on September 30. Look for it in stores and online later this fall.